Could You Downsize Big Time? What to Keep? If you had to downsize what would you keep? You know we have too much stuff when an organized closet is a goal for so many of us. 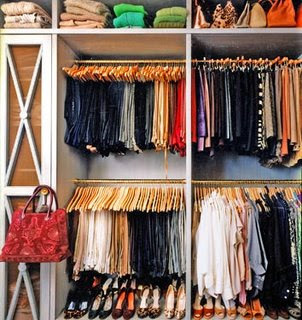 Organizing a closet is a big project, but what if you had to do it for your whole house. We are considering downsizing not to a smaller house or apartment, but to something the size of mobile home. Maybe smaller. My husband and I are retired and have been enjoying travel around the US in our van. We visit our kids and just enjoy being out and about. Lately we’ve toyed with the idea of giving up a house altogether. Our house is paid for, and we probably would get some money for it, though not all that much in today’s market. I don’t know what motor homes cost, but money from the house could help with that purchase. 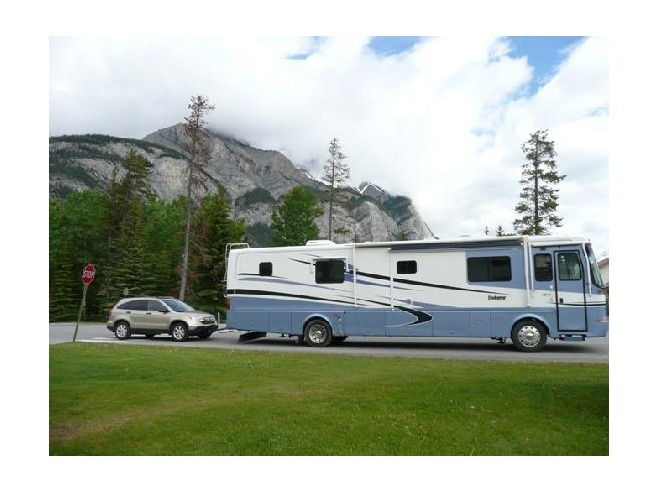 We’re considering buying and living in a motor home like you see at many campgrounds. It would contain all the necessities, but not much beyond that. Can I do it? I’ve been a little proud of furnishing our home on a shoestring while achieving a bit of a high end decor look. Well, maybe not extremely high end, but something that is a bit artistic while including family mementos. Can I give that all up? What about the pottery I’ve collected over the years? That can go. What about family photos? They have to be kept somewhere. Favorite books? The Kindle? Crafting supplies? I can downsize that to some beads. Oh uh, there are a lot of Christmas decorations I’d have a hard time parting with, but they could go to the kids. It makes me wonder: is all your stuff what makes you “you”? Of course not, but what about interests and hobbies? I can’t give up cooking; I’d have to get really serious about organizing a small kitchen to make it work. With little storage space for food, I’d have to be more careful about meal planning rather than relying on a big freezer. It would be a slightly different mind set. My sewing machine would be the biggest problem. I’ve just started sewing for my new granddaughter and am enjoying it so much. I have lots of fabrics in my stash that are perfect for little dresses. Can I give all that up for a life on the road? I don’t know. What clothes would I take? We’d need things for all sorts of weather, so planning would be important. It would be like living from a suitcase on a trip, only all the time. So much for fashion. And I do have quite a collection of purses from over the years as well as some I’ve made. That’s sort of a hobby too. Down Sizing or Right Sizing? The pluses are that we wouldn’t have to keep up a house and that we could go where the weather suits us. We’d see our family a bit more, but we already see them quite a bit. If you had to downsize, what would be on your list of must-haves to take with you? It’s always been a fun exercise to me, but when it comes to the real thing, it seems a little more daunting. Jusmom1, that could work. We could keep a storage building at one of our kids’ places & use it for my fabrics and other things. I’d need to get a portable/compact sewing machine, though I’ve never used that kind. I’d really like to have an apartment as a base, but it’s an extra expense. DH wants a trailerable sailboat as well. It gets complicated, but we don’t have to figure it all out right away. Thanks for your thoughts! I know there are some places where you can rent RVs. Maybe you could try it for six months while you still own your home. I have actually begun toying with this idea, but not as my only home…maybe downsizing to a very small home and spending half the time there and half the time traveling. I have ALWAYS wanted an RV…DH, not so much! I would love to rent a trailer for a vacation and see how we liked it. It would take a LOT of convincing to get DH on board. Then again, having an RV would allow us to travel to many different places and my favorite vacation/retirement town has many RV parks. My biggest problem would be my sewing/quilting supplies. I have just started really sewing/quilting seriously in the past year and I LOVE it! I have been accumulating free or cheap supplies for future projects and have already begun bursting the seams of my 10 x 10 room. If we kept a small home I would be able to keep my supplies there and just “refill” the RV as needed. Maybe you could keep a storage unit at your “home base” location (where your mail is delivered) or with one of your children and just “refill” your supplies as needed. Thanks so much for your thoughtful comment, Tina. You make good points about trying this out before selling the house. Not sure exactly what we’ll do, but you are helping me to think this through! I hear you about the healing power of nature. It’s one of the great gifts that just about everyone can enjoy. All the best to you in your journey! Thanks, divasupermum. The more I think about what to take rather than what I can’t take, the better I feel about it. I think we can do it, but it’s a big step. Very interesting post! I hope that if you decide to do this or go through the steps that you blog about it here or start another website about this process. 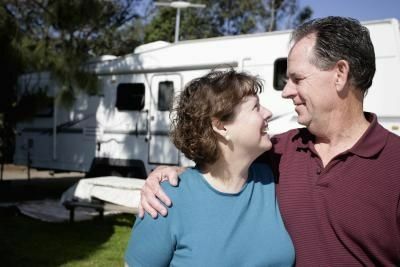 I follow lots of RV blogs and not many go over this first step. This is something that I do want to do myself. I think it’s just very overwhelming just how and where to start. I have gotten better about selling or giving things away, by thinking now someone else will treasure this item and get some joy out of it. That does make it easier to let things go. Or if I have not used something in a while, it’s easier to part with it. Other stuff like pictures and special items, I will keep or store somewhere or take along with me. I plan on having a small cabin in NM so will keep somethings there as well. Since you are retired and house is paid off, I would do this for a short time 3-6 months before selling the house and all to make sure this is something you want to live with. You could rent your house or get a house sitter while you travel. Good luck to you whatever you decide to do. I do love the healing outdoors and can’t wait to spend more time in so many beautiful places.